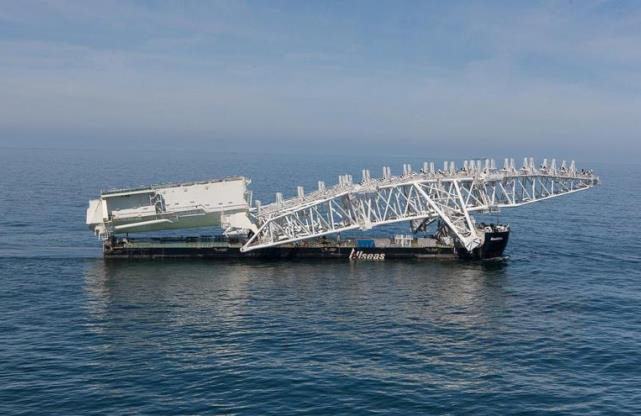 BiznesAlert.pl reached to a letter of the Nord Stream 2 AG management board responsible for the controversial project under the same name that indicates that Denmark can delay issuing an agreement on it, asking Poland for an opinion. It would confirm the Politiken daily information lately published at BiznesAlert.pl. Nord Stream 2 AG CEO Matthias Warnig writes about the decision of the Danish Energy Agency (DEA) in a letter to the management board. On February 28th DEA informed that ratification of an agreement ending the territorial dispute between Poland and Denmark on the area south of Bornholm requires them to ask Nord Stream 2 AG to provide a full Environmental Impact Assessment (EIA) for such route: – We have been able to send to the DEA a thorough legal opinion with a clear outcome; an additional EIA incl. public participation and a respective significant delay is unfounded for several legal reasons and the Northern Route application is to be permitted – we read in the letter. The southern route through Danish territorial waters is submitted to the law that allows Copenhagen to assess the construction of Nord Stream 2 from the viewpoint of foreign and security policy. Danish authorities have already declared that Russia’s actions in Ukraine „are against Denmark’s interests”, and the assessment of the project will be provided concerning „what is taking place in Russia and how Ukraine is treated”. .- The decision of the DEA of today is, unfortunately, against our opinion and crystal clear – writes Matthias Warnig. He admits that this is a formal decision and the company can appeal against it: – The appeal process starts with a proceeding at the Danish Energy Board if Appeal. The latest date for our appeal is Tuesday 23rd April. This proceeding already will take several months and can be appealed again. All in all in may take years – warns the manager. – During such proceedings the DEA could put a parallel southern route permit application on hold – he writes..
.- We are now in the process of the analysis of the Danish decision and its consequences. We are elaborating on all options. In coordination with our Shareholder I would like to suggest that we discuss further details and proceedings in the framework of the Coordinators’ Meeting next week – writes Warnig.